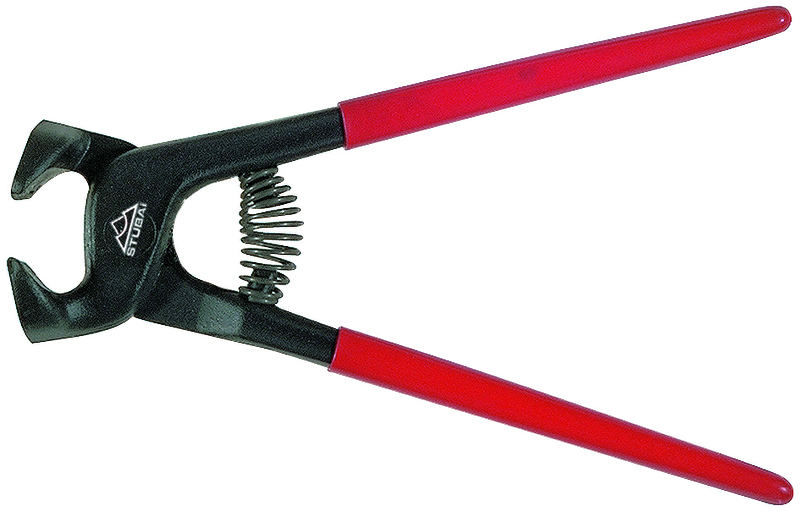 N° 1079 STUBAI Pincers Special tool steel, hardened and tempered, polished head, PVC- coated handles. N° 1080 STUBAI Asymmetrical pincers Special tool steel, hardened and tempered, induction- hardened impact surface, polished head, PVC-coated handles. 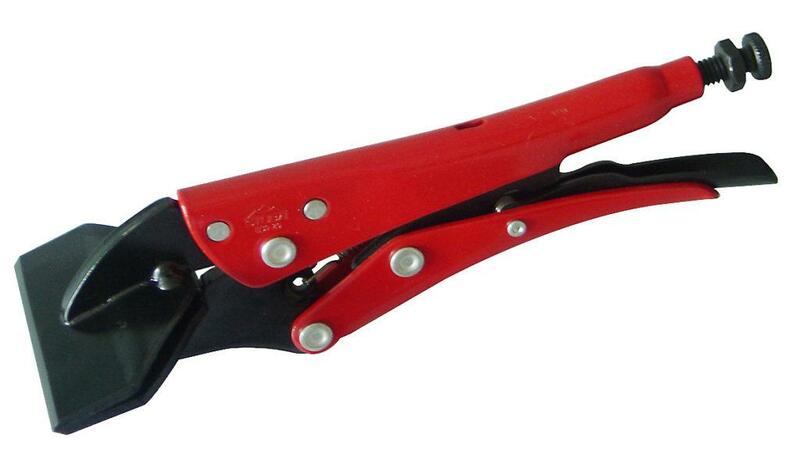 N° 1080 STUBAI Pincers heavy-duty model Special tool steel, hardened and tempered, polished head, PVC- coated handles. N° 1080 STUBAI Wire stretching pliers Special tool-steel, hardened and tempered, polished head, PVC- coated handles, for stretching wires and mounting wire fences. 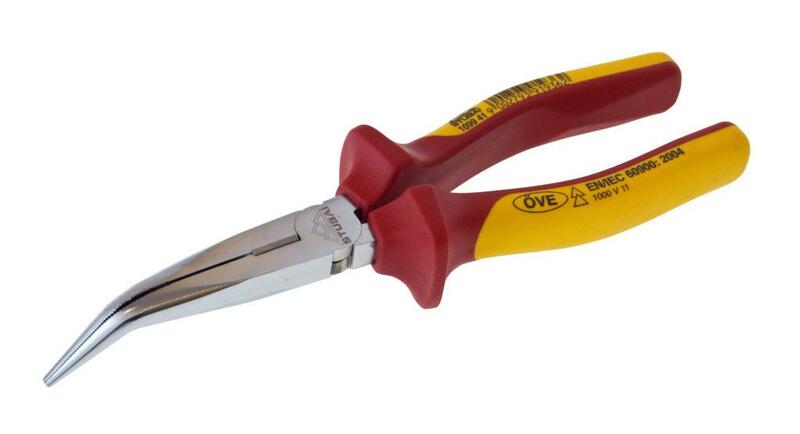 N° 1081/1082 STUBAI Concrete pliers Polished head, blackened handles. 1081 11 without bevel, for plastic only! 1082 01/02 Steel fixer’s pincers, flat/sharp-cut. 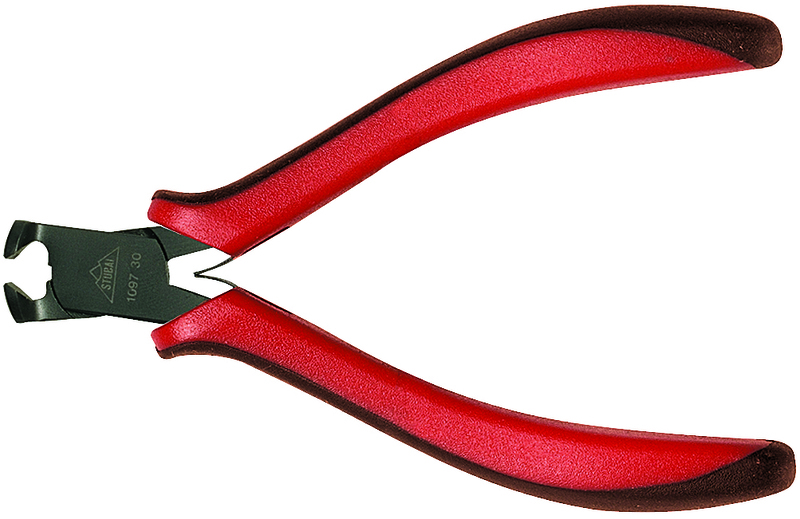 N° 1083 STUBAI Flat nose pliers Laid on joint, cut inside jaws, high-alloy steel oil-hardened, polished head, red plastic coated handle. 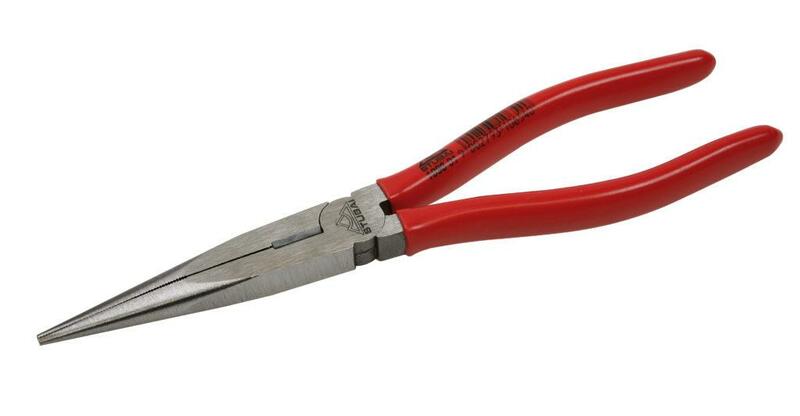 N° 1085 STUBAI Round nose pliers Cut inside jaws, high-alloy steel, oil-hardened. 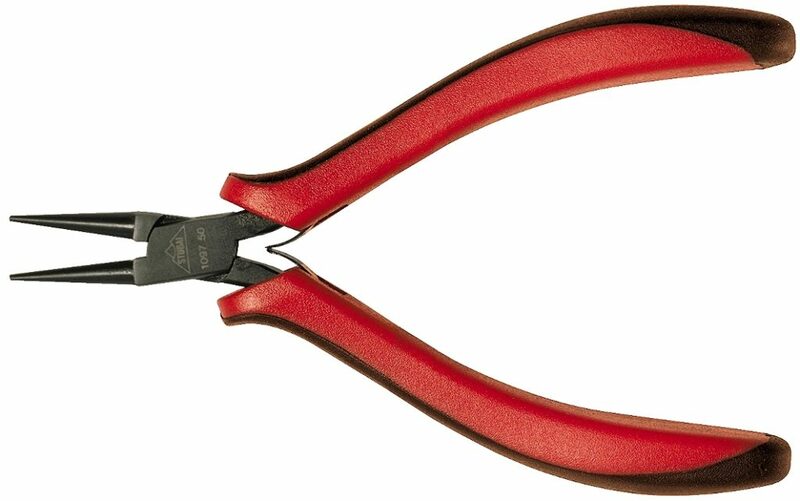 N° 1089 STUBAI Round long nose pliers Cut inside jaws, high-alloy steel, oil-hardened, induction-hardened, cutting edges. Polished head, red plastic coated handle. 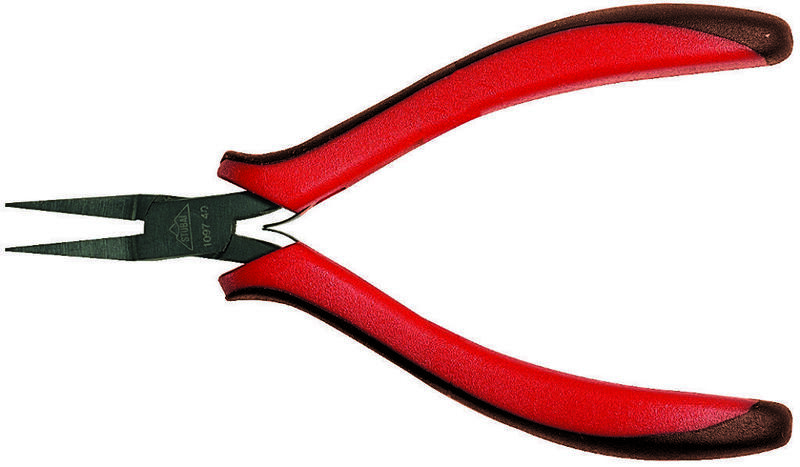 N° 1090 STUBAI Flat long nose pliers Cut inside jaws, high-alloy steel, oil-hardened, induction-hardened, cutting edges. 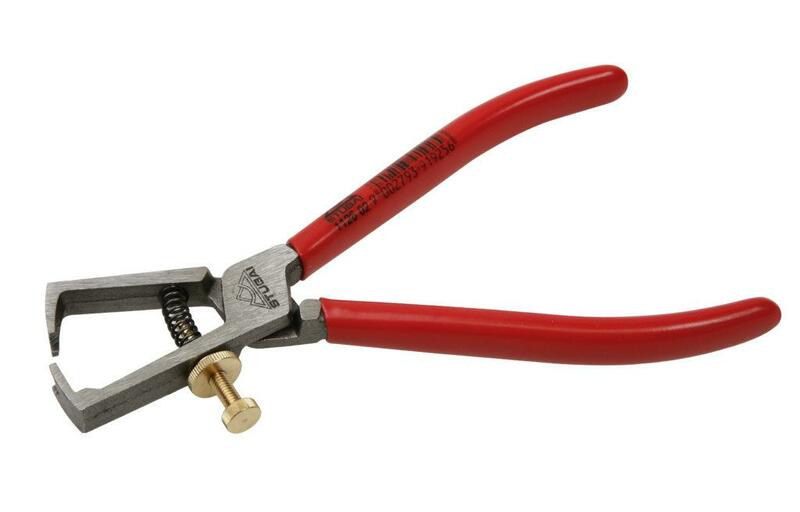 N° 1098 STUBAI Radio pliers straight With wire bender and induction-hardened cutting edges, cut inside jaws, high-alloy steel, oil-hardened. 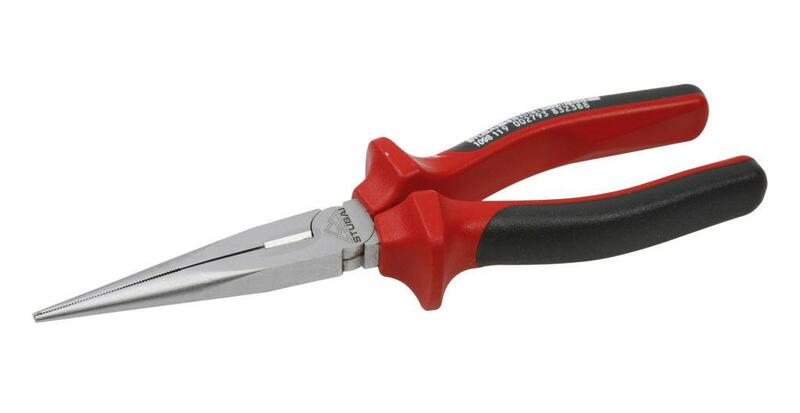 N° 1098 STUBAI Radio pliers straight, bi-material handle With wire bender and induction-hardened cutting edges, cut inside jaws, high-alloy steel, oil-hardened. 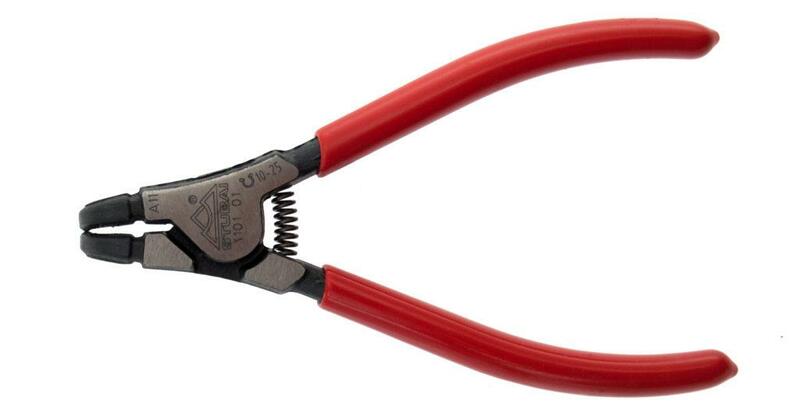 N° 1098 STUBAI Radio pliers straight, chrome-plated head With wire bender and induction-hardened cutting edges, cut inside jaws, high-alloy steel, oil-hardened. N° 1099 STUBAI Snipe nose pliers bent With side cutter, chrome-vanadium steel, oil-hardened cutting edges and points induction-hardened. N° 1099 STUBAI Snipe nose pliers bent, bi-material handle With side cutter, chrome-vanadium steel, oil-hardened cutting edges and points induction-hardened. N° 1099 STUBAI Snipe nose pliers bent, chrome-plated head With side cutter, chrome-vanadium steel, oil-hardened cutting edges and points induction-hardened. 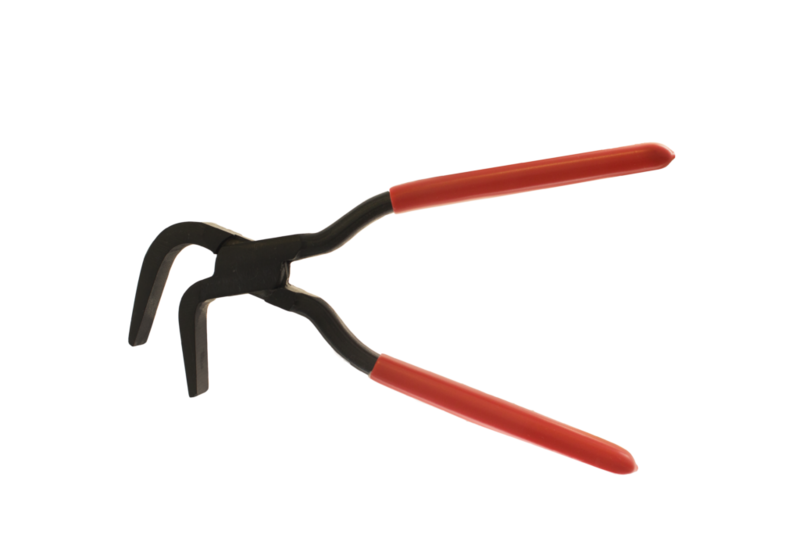 N° 1100 STUBAI Circlip pliers outside Straight for horseshoe ringcips, C.V steel, with accurately ground and induction-hardened points. 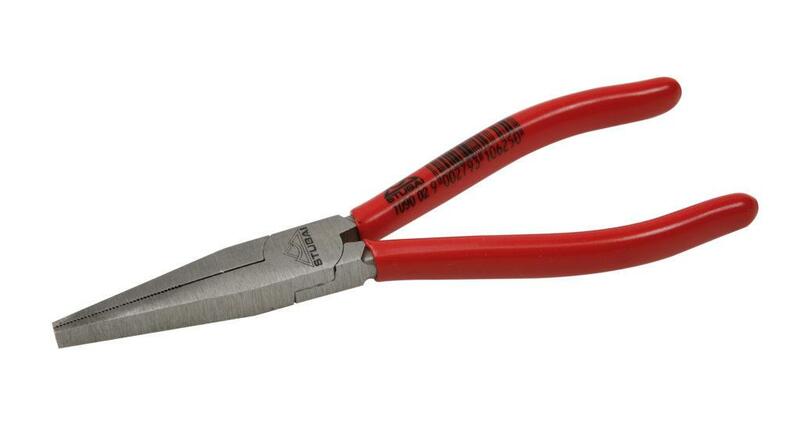 N° 1101 STUBAI Circlip pliers outside Same as item 1100 but 90° bent points, for outside use. 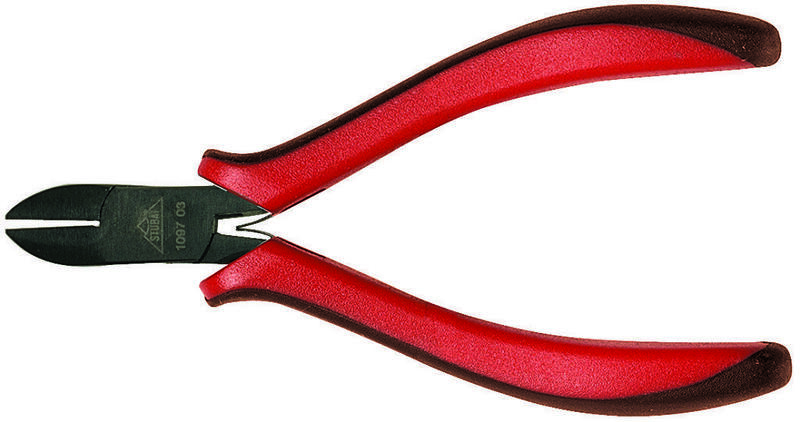 N° 1102 STUBAI Circlip pliers inside Same as above (item 1100), for inside use. 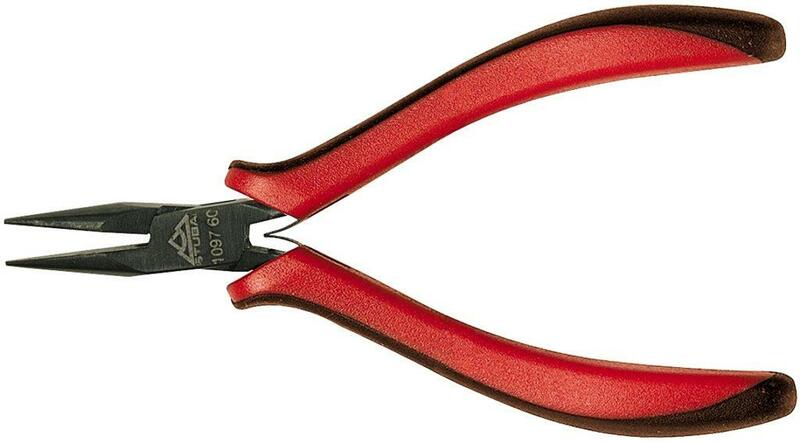 N° 1103 STUBAI Circlip pliers inside Same as item 1100, but 90° bent points for inside use. 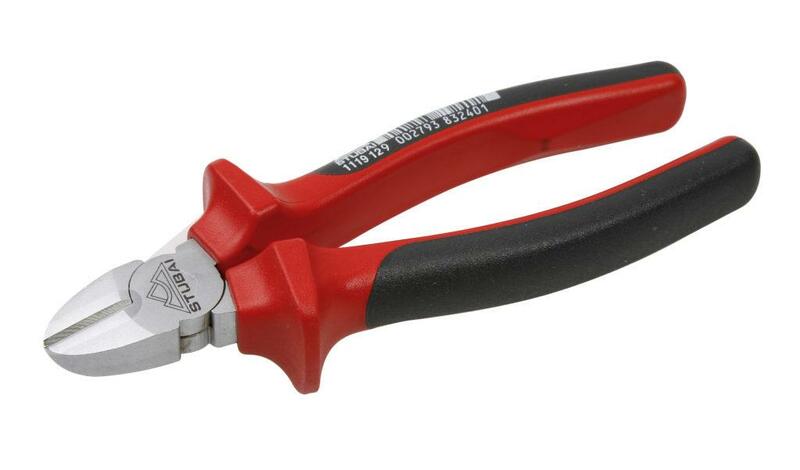 N° 1104 STUBAI Combination pliers For soft and hard wire, special tool steel, oil-hardened, induction hardened cutting edges. 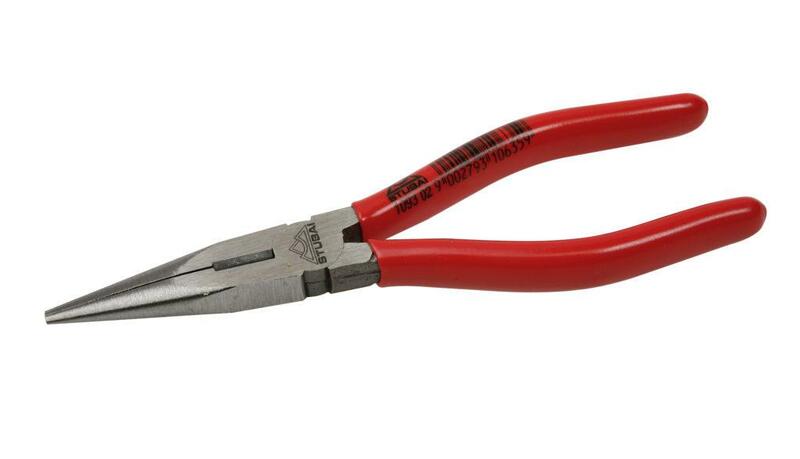 N° 1104 STUBAI Combination pliers, bi-material handle For soft and hard wire, special tool steel, oil-hardened, induction hardened cutting edges. 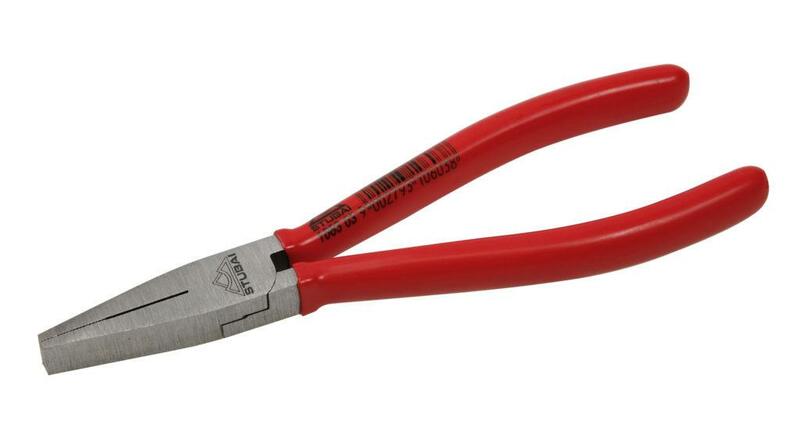 N° 1104 STUBAI Combination pliers, chrome-plated head For soft and hard wire, special tool steel, oil-hardened, induction hardened cutting edges. 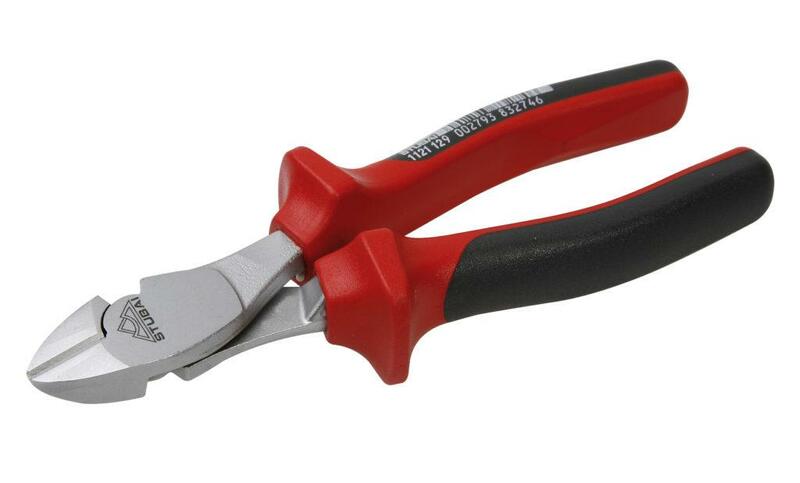 N° 1119 STUBAI Side cutter For soft and hard wire, special tool steel, oil-hardened, induction-hardened cutting edges. 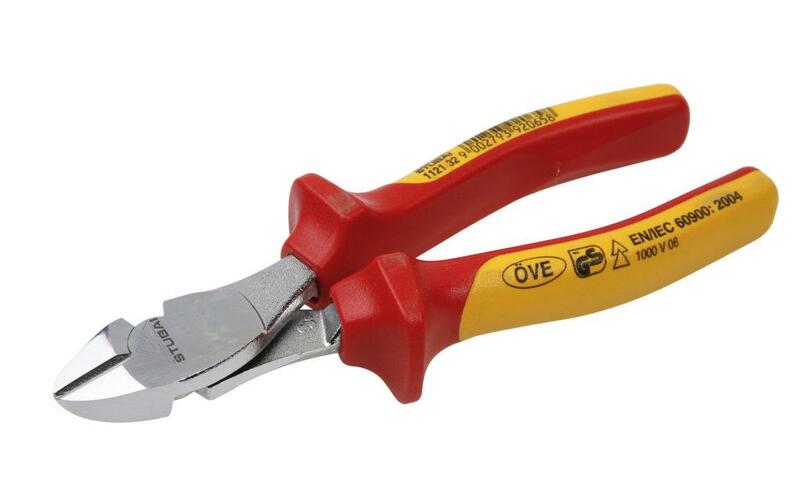 N° 1119 STUBAI Side cutter, bi-material handle For soft and hard wire, special tool steel, oil-hardened, induction-hardened cutting edges. N° 1119 STUBAI Side cutter, chrome-plated head For soft and hard wire, special tool steel, oil-hardened, induction-hardened cutting edges. N° 1121 STUBAI Side cutter For piano wire, special tool steel, oil-hardened, induction-hardened cutting edges. N° 1121 STUBAI Side cutter bi- material handle For piano wire, special tool steel, oil-hardened, induction-hardened cutting edges. N° 1121 STUBAI Side cutter, chrome-plated head For piano wire, special tool steel, oil-hardened, induction-hardened cutting edges. 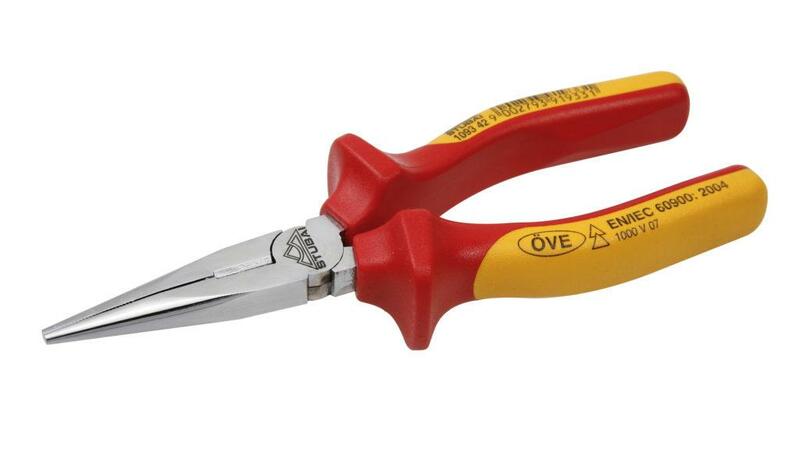 N° 1126 STUBAI Revolving punch pliers With 6 different holesizes, easy adjustable, PVC-handles. 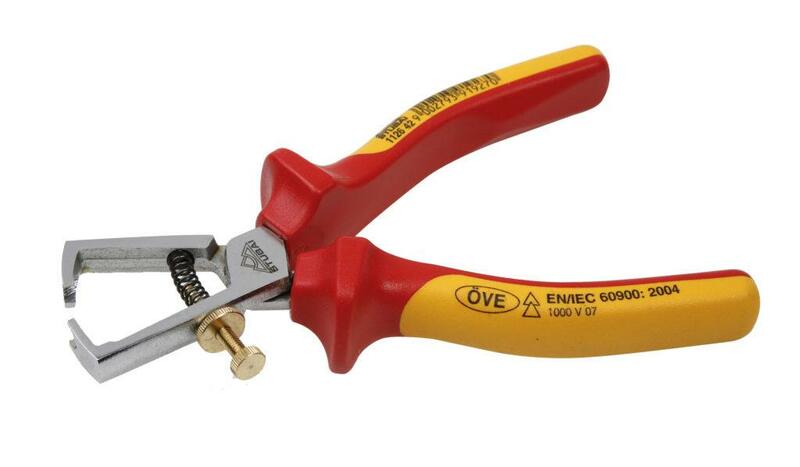 N° 1126 STUBAI Wire stripping pliers With setting crew and locknut, spring. 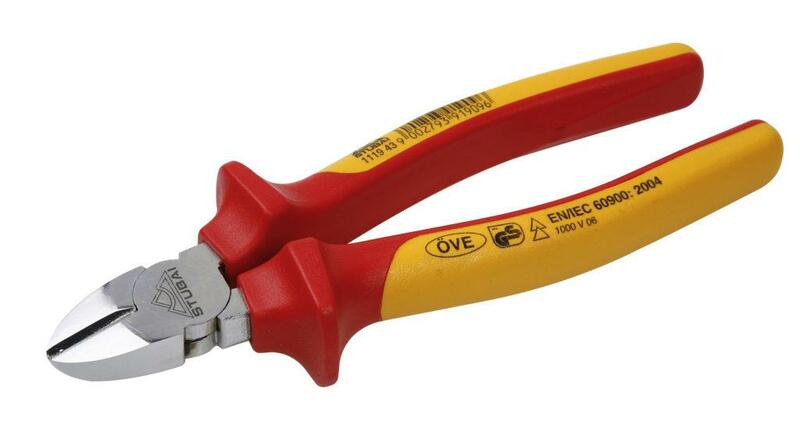 N° 1126 STUBAI Wire stripping pliers, bi-material handle With setting crew and locknut, spring. 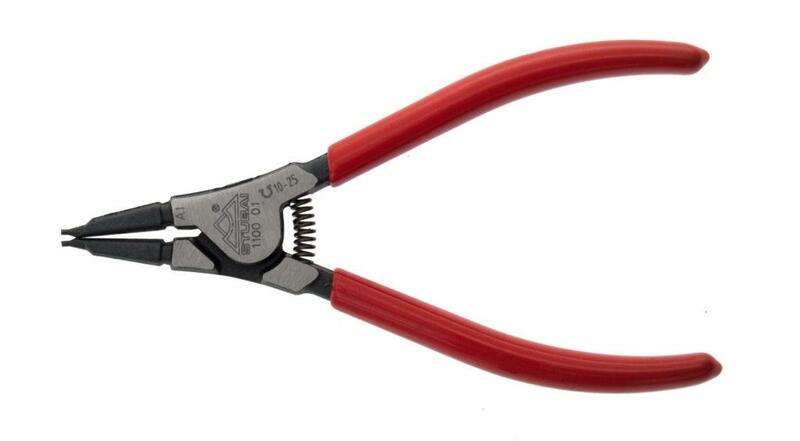 N° 1126 STUBAI Wire stripping pliers, chrome-plated head With setting crew and locknut, spring. 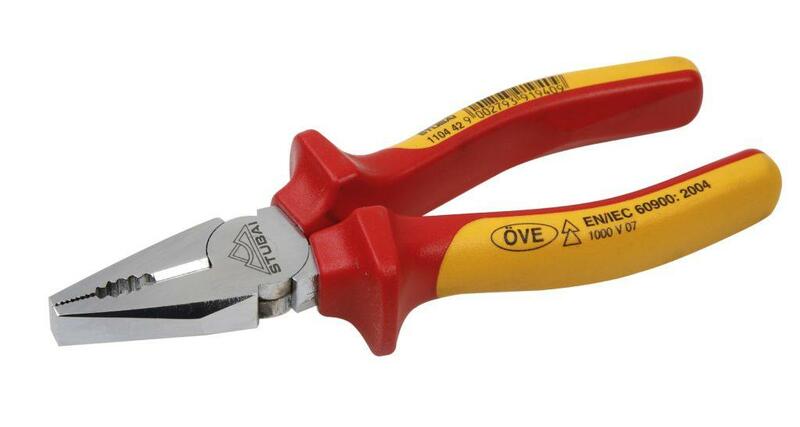 N° 1127 STUBAI Mechanic’s heavy duty pliers For piano wire, quadruple joint. Special steel, polished head, PVC- coated handles. N° 1128 STUBAI Heavy duty cutting pliers For soft and hard wire. Special steel, polished head, PVC-coated handles. Less strength needed due to a better leverage. N° 1129 STUBAI Bolt cutter Forged of special steel. Induction hardenedcutting edges Power-coated tube steel handles, for tensile structural steel up to 150 kg/mm². 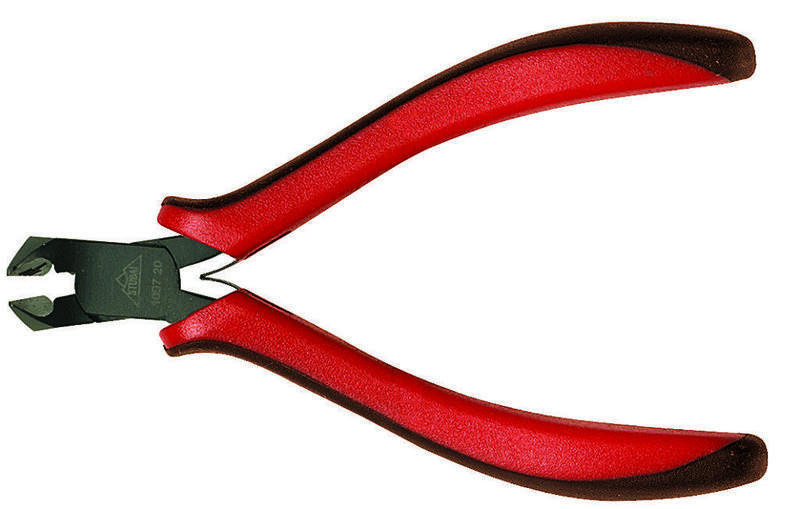 N° 1131 STUBAI Boltcutter Powerline NEW EDITION NEW With interchangeable triangular cutting edges. Forged of special steel, cutting edge made of high-alloy steel. 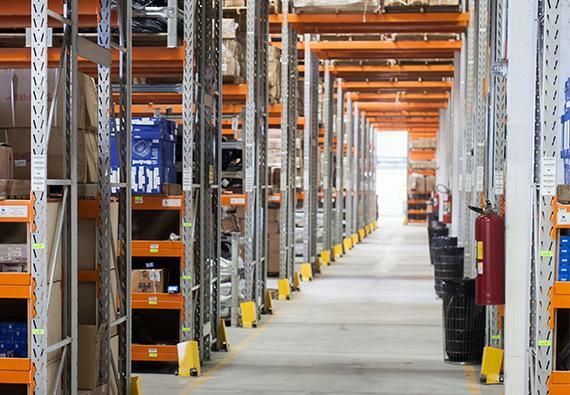 Powder coated tube steel handles, for high tensile structural steel up to 12 mm Ø (160 kgmm²) or spring steel up to 10 mm Ø (180 kg/mm²) ADVANTAGES: Better access to the cutting material, deeper insertion, less breaking possibility on edges, due to more stabil cutting edge, easy handling with less force necessary, no twisting on the handles, better action compound, even weight balance on complete tool. Straight handles. 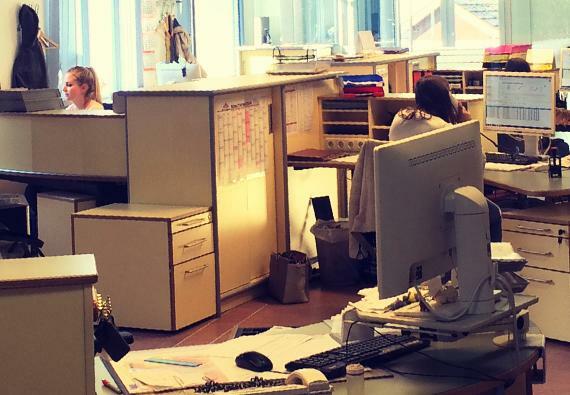 Better handling in every working position. Highest quality on triangular cutting blades. 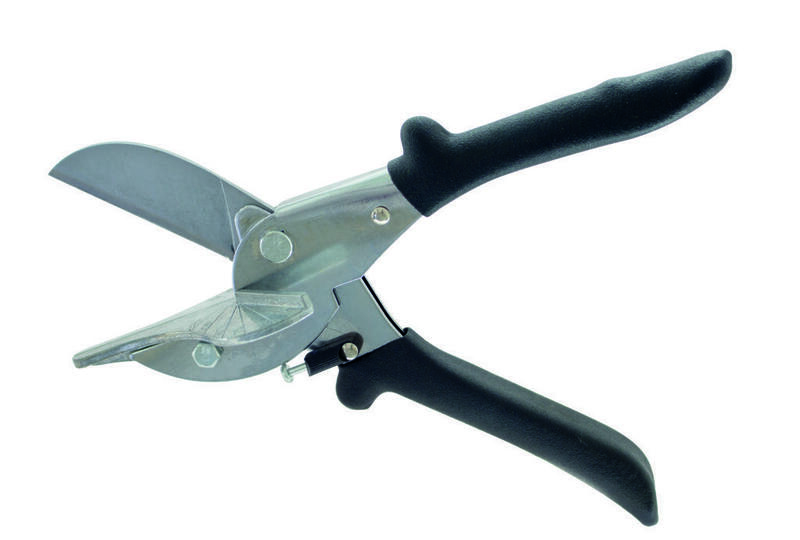 Cutting blades are fully adjustable, long lasting cutting blades quality. No lateral twisting on handles possible. N° 1133 STUBAI Steel fixers pincers “Easycut” Made of special steel forged, head = 30 mm. Polished. Quadruple joint. Same as N° 1133 12 but with 30 mm head diameter. N° 1133 STUBAI Steel fixers pincers with broad head The extreme powerratio: The long handles and the front position of the rotationpoint, allows the user an extendet and easy handling of the Pliers. N° 1133 STUBAI Steel fixers pincers with narrow head Forged of special steel, polished head. Quadruple joint, PVC-coated handle. 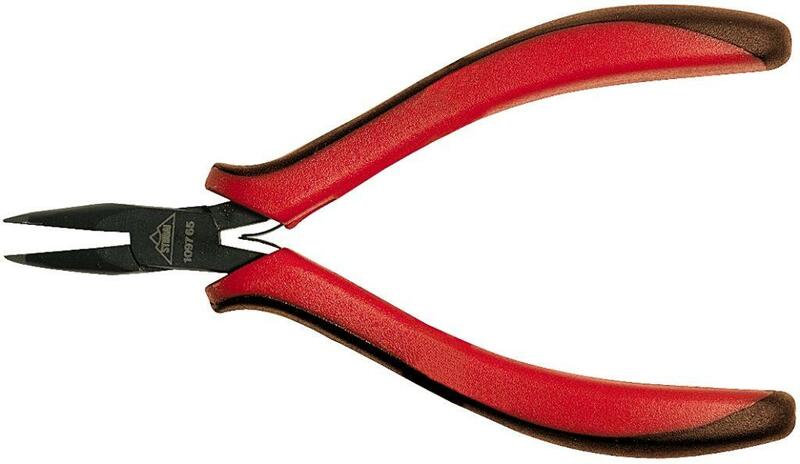 N° 1134 STUBAI Tile nipping pliers Made of C.V steel, polished head, tempered and cutting edge handles. 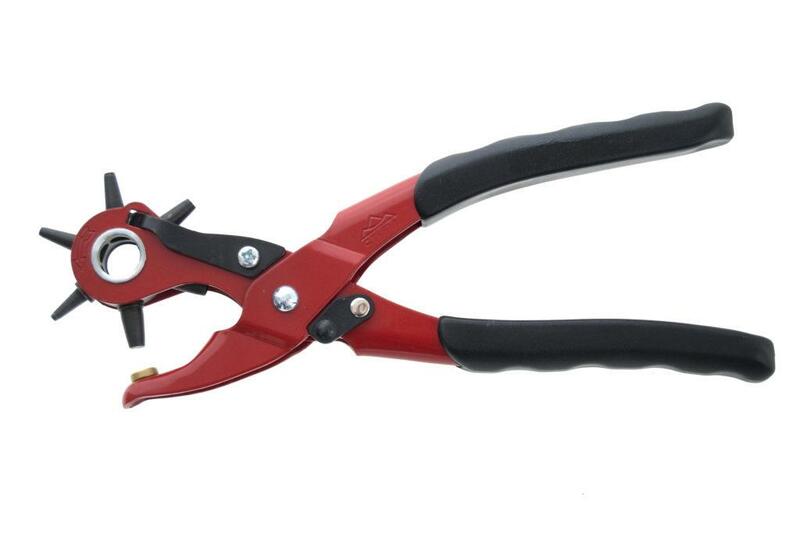 N° 1139 STUBAI Waterpump pliers Tool steel, box joint, red lacquered. 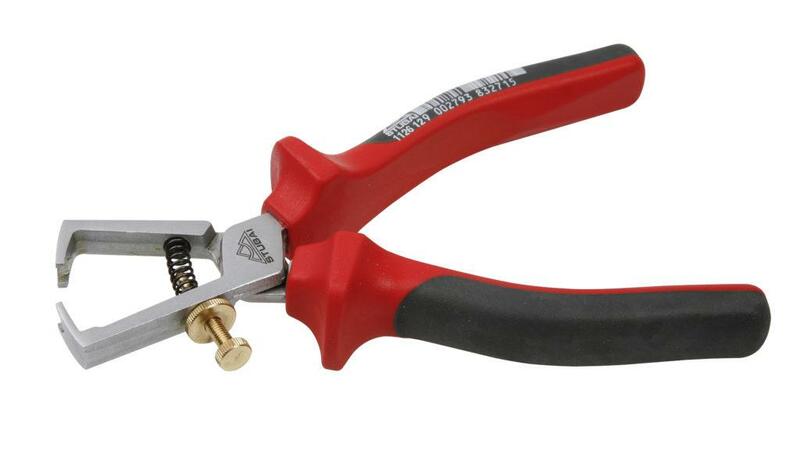 N° 1140 STUBAI Waterpump pliers Tool steel, box joint, polished head, PVC- coated handles. N° 1141 STUBAI Waterpum pliers with ripple joint Tool steel, chrome plated with ripple joint. N° 1148 STUBAI Pipe wrench S – 45°, with 3-point support, C.V. steel, induction-hardened, lacquered. N° 1148 STUBAI Pipe wrench With 3-point support, C.V. steel, heavy duty model, high frequency-hardened, lacquered. N° 1150 STUBAI Mesh cutter Special mesh-cutter for cutting structural steel. 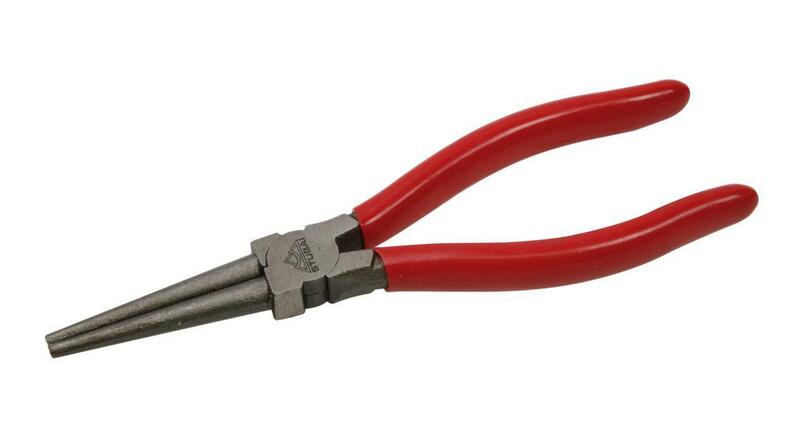 N° 1180 STUBAI Broad mouth grip pliers For temporarily clamping of all metal parts. Due to special epoxy coating no risk of rust. N° 1180 STUBAI Self grip wrench Both jaws concave, cutter between jaws, jaws forged of high-alloy steel, tempered and partially hardened. N° 1181 STUBAI Self grip wrench With parallel jaws, forged of high-alloy steel, tempered an partially hardened. N° 2822 STUBAI Seaming Plier The 90 ° bend facilitates the ripening. 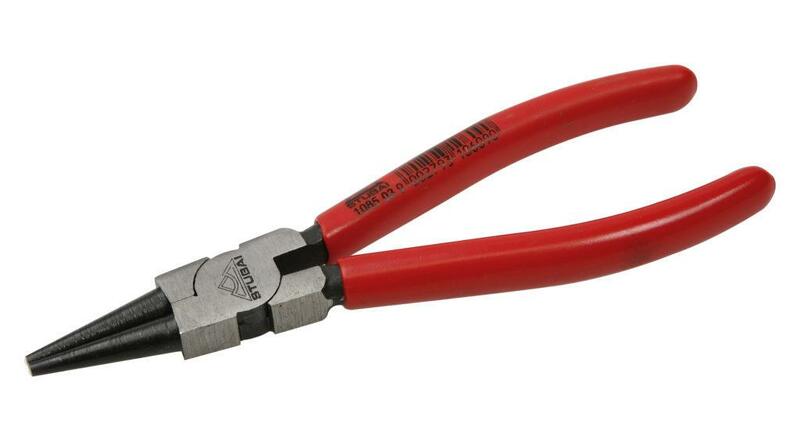 N° 2828 STUBAI Crimping Pliers 2828 02: For window panels and hard-to-reach areas. 2828 55: Crimped crimping pliers with the Insertion Depth of 100 mm. 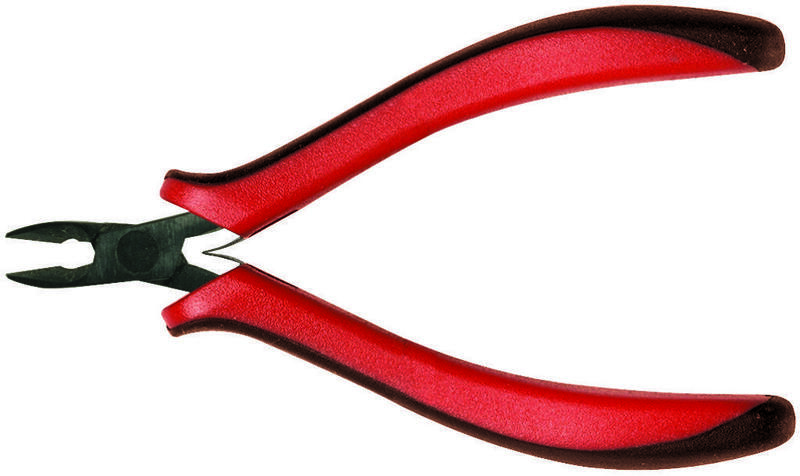 N° 4184 STUBAI Mosaic tile breaking pliers With tungsten carbide tip and spring, black lacquered, red plastic coated handle. 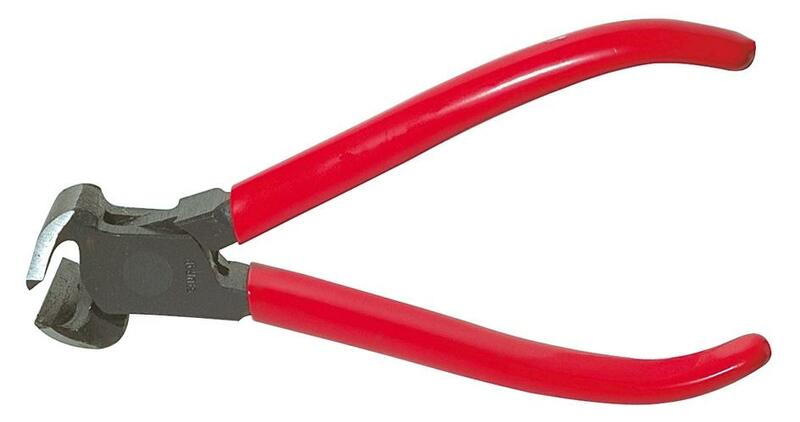 N° 6000 STUBAI Fencing pliers Made of steel, with wire cutter, polished head, PVC-coated handles. Perfect for working with wire fences.